Bill Imada is founder, chairman and chief connectivity officer of IW Group, a minority- owned and operated advertising, marketing and communications agency focusing on the growing multicultural markets. 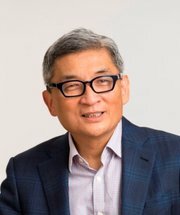 For more than 20 years, Mr. Imada has worked with some of the top companies in the U.S., including American Airlines, City of Hope, Coca-Cola, General Motors, Godiva Chocolatier, HBO, Lexus, McDonald’s, Southern California Edison, Verizon, Walmart Stores, Walt Disney Imagineering, Warner Bros. Pictures, and many others. His areas of expertise include advertising, branding, multicultural communications, marketing, crises management, and public relations. Mr. Imada is active in the community and serves on several boards and advisory councils. His board service includes the Advertising Educational Foundation, California Asian Pacific Chamber of Commerce, Center for Asian American Media and the LAGRANT Foundation. Mr. Imada also co-founded the Asian & Pacific Islander American Scholarship Fund (APIASF) more than a decade ago and established the Asian/Pacific Islander American Chamber of Commerce & Entrepreneurship (ACE), an organization that is based in Washington, D.C. His efforts were recognized by The White House and he was invited to meet President Barack Obama with 12 other Asian/Pacific Islander American leaders. Mr. Imada was later appointed to the President’s Advisory Commission on Asian Americans and Pacific Islanders by President Obama. In 2016, Mr. Imada co-founded the National Millennial Community, an organization comprised of NextGen leaders from 27 states and the District of Columbia, whose mission is to break the negative stereotypes that often define millennials in the U.S.
Mr. Imada is Vice Chair of the PBS Strategic Planning Advisory Group and serves on the Diversity Advisory and Nominating and Corporate Governance committees and on the PBS Foundation Board. He previously was vice chair of the Nominating and Corporate Governance Committee.